America's independent beer distributors delivery regulatory, economic and commercial value in the communities where they do business. 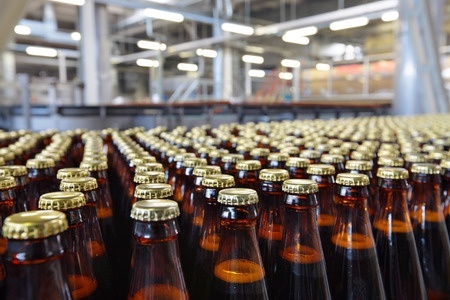 Beer distributors operate within a time-tested regulatory system. They are licensed by both state and federal governments, and they are accountable for the local implementation of and compliance with laws that promote moderate consumption and preserve public safety. Abide by trade practice laws which reflect local customs and community interests. Act as the linchpin of the three-tier system (brewers & importers; distributors; and retailers) through which federal, state and local governments enforce their alcohol laws. Protect against illegal distribution of alcoholic beverages by ensuring that sales and deliveries are made only to licensed retailers. Provide accountability by tracking product with detailed records that make transparent the chain of custody of alcoholic beverages from supplier to retailers. Ensure the collection of state and local taxes and licensing fees in many states. Distributors deliver direct economic benefit to the communities they serve through quality local jobs, local business-to-business commerce, local investments and local tax revenue. They contribute indirect economic benefit by providing services that improve efficiency, choice and profits for trading partners, plus fair prices for consumers. Provide logistics and supply expertise that optimizes efficiency for trading partners, especially small brewers and retailers. Stimulate the local economy with investments in infrastructure and capital assets. Provide a sustained economic multiplier effect through income taxes, property taxes, excise taxes and fees and consumer spending. Ensure that business income produced by the community remains in the community in the form of jobs, investment, commerce, philanthropic activity and support of state and local governments. Provide leadership and financial support for local community, civic and philanthropic initiatives. Independent distributors provide efficient access to market for ALL beer brands to ALL licensed retailers, enabling consumers to choose from an unparalleled selection of beer – 13,000 different labels and growing. Provide access to market for all brewers and importers to more than 500,000 licensed retail accounts across the country. Help brewers maximize sales and build brands through store level merchandising, product promotion, marketing initiatives and local event sponsorships. Ensure predictable product availability for licensed retailers through delivery frequency, warehousing, inventory management, space management programs and category management advice. Enhance retailers' profitability by educating retailers and consumers about new product categories, beer styles and ways to best enjoy beer. 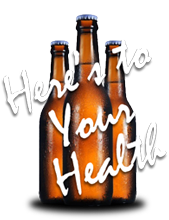 Maximize product choice for consumers by selling a vast array of beer brands and styles. Safeguard product quality and integrity, quickly identifying and removing any substandard or unsafe products from the marketplace. Here's a link to a handy card from NBWA with these value statements listed. 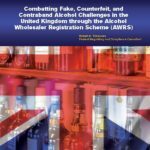 The Center for Alcohol Policy released a new report, “Combatting Fake, Counterfeit, and Contraband Alcohol Challenges in the United Kingdom through the Alcohol Wholesaler Registration Scheme (AWRS),” authored by Robert Tobiassen, the former Chief Counsel at the Treasury Department’s Alcohol Tax and Trade Bureau. The report is a follow up to his 2014 report, “The ‘Fake Alcohol’ Situation in the United States: The Impact of Culture, Market Economics, and the Current Regulatory Systems,” that examined the high number of incidences of fake alcohol in countries around the world, compared to the low number of incidences in the United States.